With its headquarters based in Barcelona, Poema SL is a Catalan production company specialized in classical and flamenco guitar which, since its beginnings, works both inside and outside of Spain representing artists and producing different kinds musical events. 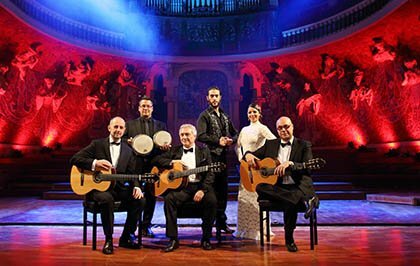 It represents the shows “Versus”, interpreted by the quartet Barcelona 4 Guitars, and Barcelona Guitar Trio’s acclaimed “Tribute to Paco de Lucía“. It is also in charge of the Maestros de la Guitarra, an internationally-praised guitar festival which brings to Barcelona some of the best guitarists worldwide.